You may be looking to enter Canada or remain in Canada for business purposes, tourist purposes, or simply to visit friends or family. Canada has a generous immigration system, but Canada’s immigration Act and Regulations seeks to protect Canadians, Permanent Residents of Canada and Canadian society in general from any type of risk. In this regard, if you have a past criminal conviction, you will not be allowed into Canada unless you have applied and been approved for Criminal Rehabilitation and/or you have sought special permission to enter Canada. Special permission is done through a Temporary Resident Permit. 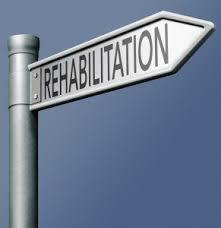 However, in some cases, you may find that you do not meet the requirements to apply for Criminal Rehabilitation. In this situation, it is important to know your options and the possible outcomes you face. If you find yourself in need of coming to Canada, but you have a past conviction, then you will need to go through the Criminal Rehabilitation process. However, in some circumstances you may not be eligible for Criminal Rehabilitation. You will not be eligible for Criminal Rehabilitation if you five years have not passed since the end of your sentence imposed on you as a result of your conviction. Additionally, you may also not be eligible for a Record Suspension (previously known as a pardon) for convictions in Canada. In this instance, you may request special permission to come to Canada or remain in Canada by filling out the appropriate sections in the Application for Criminal Rehabilitation. Advise you that you could apply for a Temporary Resident Permit to enter Canada. Advise that you apply for a Temporary Resident Permit to enter Canada. At Akrami & Associates, we are dedicated to helping you achieve your goals. No matter how dire your circumstances may seem, we will always try to find a way.